Everyone knows Sloppy Joe. This is the cousin. Just as messy, but with a new twist. Savory and sweet, this is a dish that you’re grateful you can “overflow” over the edges of the “bun”. The balsamic acts like the brown sugar in the sloppy joe, adding the depth of sweetness. The traditional bun has been replaced by an oven-roasted portabella mushroom, but you could always use a buttery toasted bun. Preheat the oven to 350 degrees. 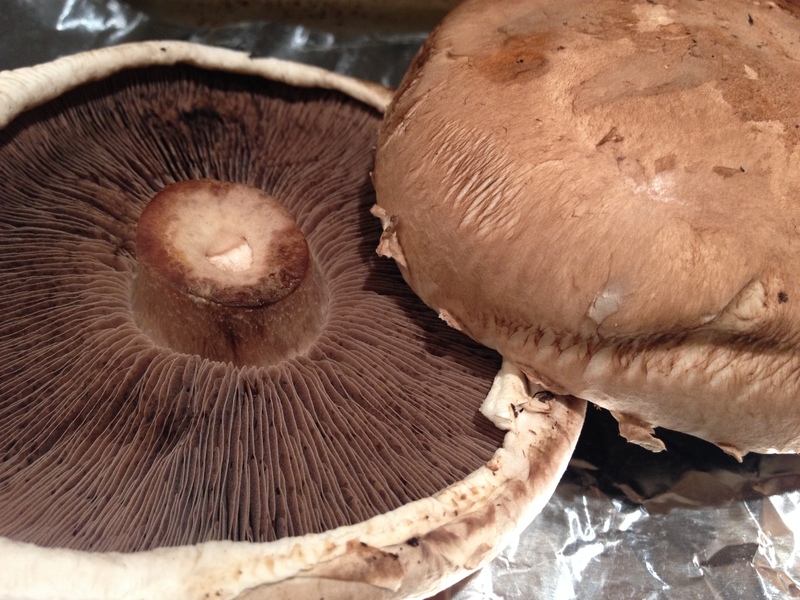 Place the portabella caps, cap top down, on a baking sheet. Drizzle olive oil, balsamic vinegar, salt & pepper on the mushrooms. Bake for 15 minutes and then set aside. Saute the onions in olive oil over medium heat until they turn translucent, about 10 minutes. Add the ground turkey and cook until cooked through. Add the garlic, sun dried tomatoes, marinated peppers, balsamic, red wine, tomato paste, and salt & pepper. Continue to let it simmer for 15 minutes over low-medium heat. 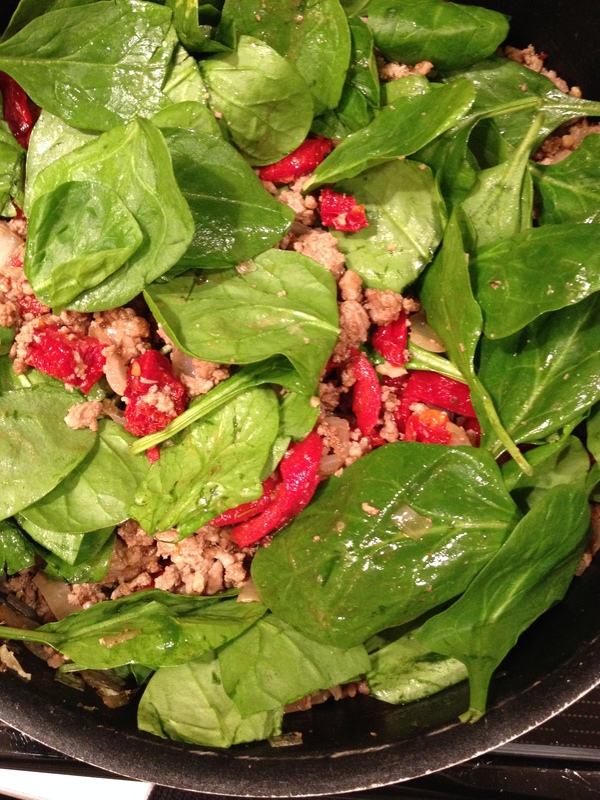 Add the fresh spinach and basil into the turkey mixture. Scoop the ground turkey onto each portobella cap, and then crumble the goat cheese on top. Place back in the oven and let the cheese melt. Serve hot! 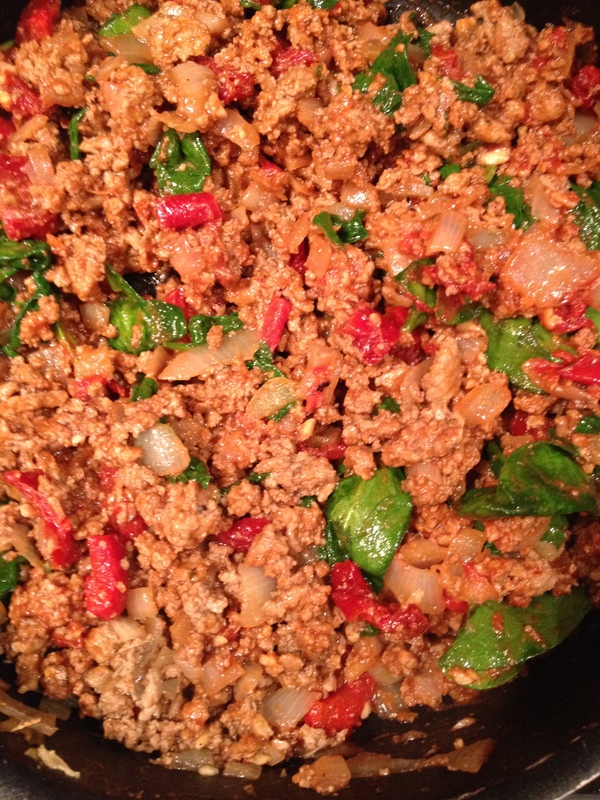 I absolutely love the sound of this — and am always looking for new recipes using ground turkey! It’s so under-appreciated, honestly. Thanks for sharing! Since I have some defrosted in the fridge right now, I think I know what’s for dinner . . . Thank you so much! I actually created it by accident… I had been to the local green market and had purchased all these wonderful items. Please let me know how dinner turns out, and if you have any suggestions! 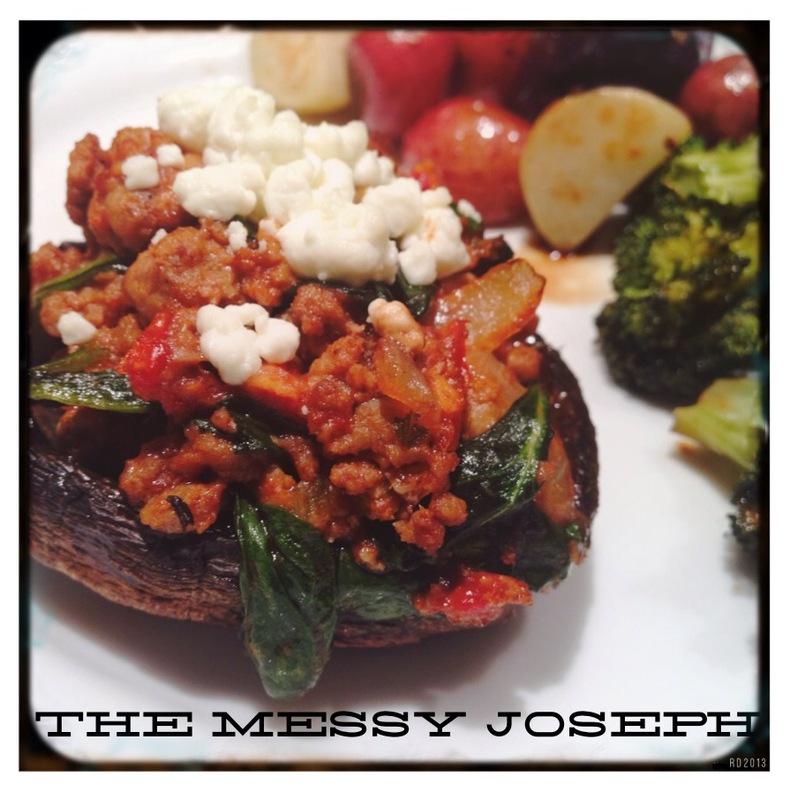 Pingback: Classy it up: the Messy Joseph | write meg!